The former Navy Commander Retired Admiral Wasantha Karannagoda has left the Criminal Investigation Department (CID) after recording a four-hour long statement stated Ada Derana reporter. Earlier today (19), the former Navy Commander arrived at the Criminal Investigation Department (CID) for the third time. He has arrived at the CID on two previous occasions, on 11th and 13th of March, to record a statement on the case of the disappearance of 11 youths in Colombo in 2008. On March 11th he was interrogated for nearly 8 hours. On February 25th, Retired Admiral Karannagoda filed a Fundamental Rights (FR) petition seeking an order preventing the CID from arresting him. 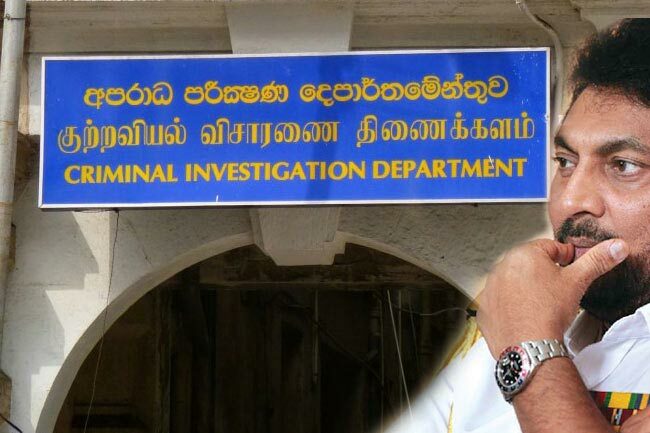 In his petition, Karannagoda had stated that the CID launched an investigation on him for allegedly threatening a witness of the case on the disappearance of 11 youths in Colombo and suburbs in 2008. When the FR petition was taken up before the Supreme Court judge bench consisting of Justices Buwaneka Aluwihare, Vijith Malalgoda, and Preethi Padman Surasena on March 7th, he was ordered to appear before the CID. The judge bench also issued an injunction on the CID preventing the arrest or detention of the Retired Admiral. The Supreme Court had, reportedly, advised Karannagoda to refrain from threatening the witnesses of the case. Karannagoda had also submitted an affidavit to the Supreme Court, assuring that he would appear before the court and would not travel abroad without obtaining the court’s permission.